The Graphic Design Archives Chapbook Series celebrates the achievements of key design pioneers whose work is held in the Cary Graphic Arts Collection at RIT Libraries. The Graphic Design Archives Chapbook Series celebrates the achievements of key design pioneers whose work is held in the Cary Graphic Arts Collection at RIT Libraries. From the inaugural acquisition in 1986, RIT’s holdings have grown to include the work of 36 significant American graphic designers, active from the 1920s to the 1950s. 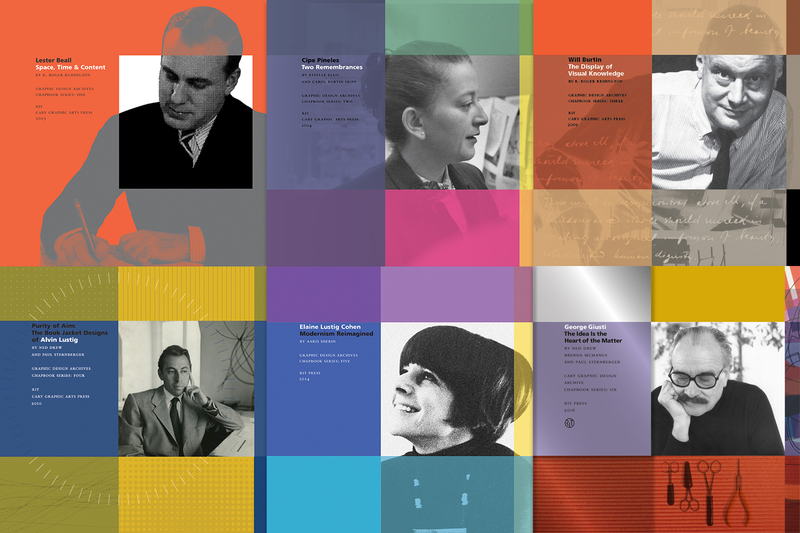 This set contains the first six books in the Chapbook Series — on Lester Beall, Cipe Pineles, Will Burtin, Alvin Lustig, Elaine Lustig Cohen, and George Giusti— at a special price.